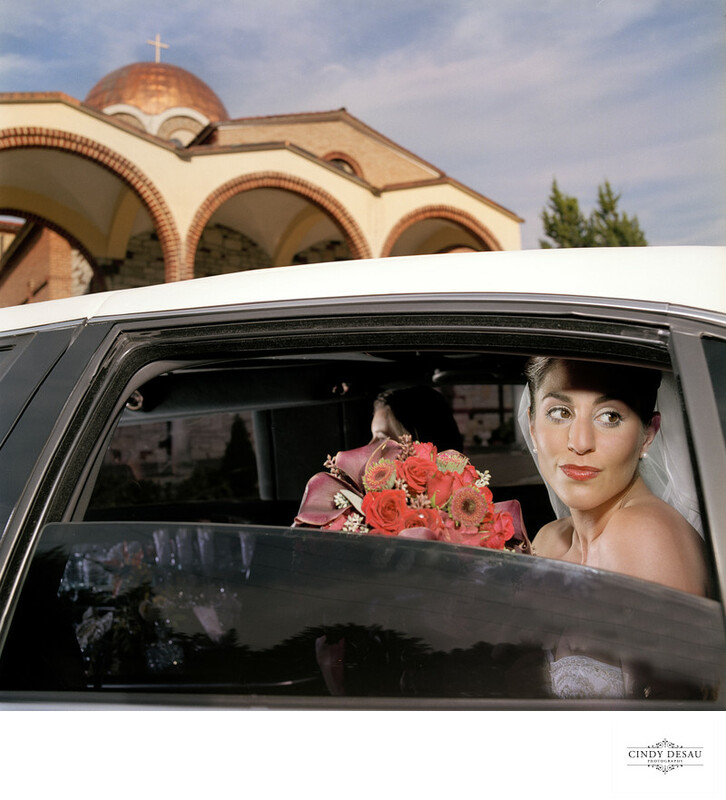 This bride was sitting in the limo outside her church, waiting for just the right moment to make her entrance for her wedding ceremony. She actually was all in shadow and I choose to use a little flash so she wouldn’t be a silhouette. I composed the photo to keep the gold church dome in the photo. This image was shot on film, and perfectly exposed for both shadows and highlights, as well as beautiful skin tones.